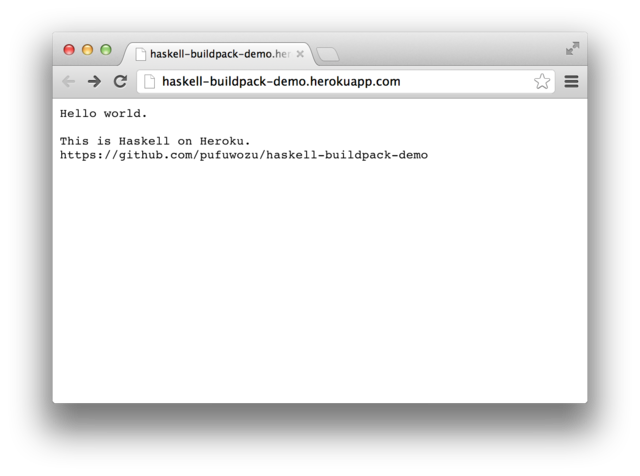 Last night I took Neuman Vong's and Mark Wotton's Haskell Buildpack for Heroku and got it working! The push will take quite a while for the first time, while it downloads packages. Packages are cached for the next push. No compilation locally! How awesome is that!? Notice the typo? An extra $. 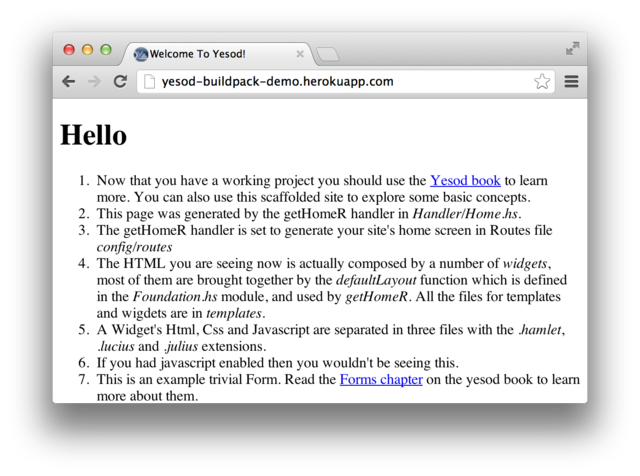 Heroku doesn't report errors from the bin/release script in a Buildpack so Mark had no idea what was going wrong. I only found out by running the Buildpack locally with Mason.